Have you ever wondered how all those beautiful fabrics are designed and created? Have you ever wondered how Judy decides what fabrics to buy for Bears Paw? Have you ever asked why a store can't get more of a fabric that you didn't buy enough of? If you answered yes to any of the above, then you don't want to miss this presentation. Shirley Mandler, our fabric rep for Northcot, Benartex, Hoffman and more will be doing a presentation showing how fabrics are created, starting with the concept, to the printing, to delivery in the stores. 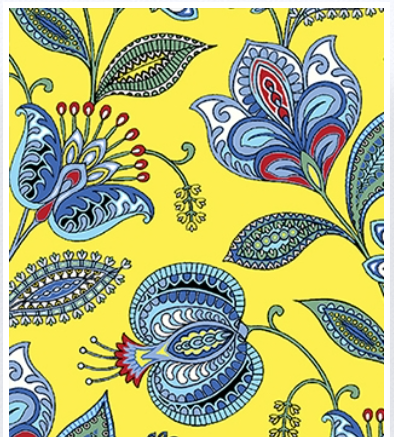 Following this informative presentation, Shirley Mandler will show you fabrics that will be previewed at Spring Quilt Market the middle of May in Kansas City. This is your chance to be a buyer for a day. Which fabrics would you buy for Bears Paw if it was your decision to make? You will be seeing these fabric collections before most stores in the United States. Following the preview of future collections, a trunk show will be shared with you of quilts using the Northcott fabrics, including the 10th Anniversary Stonehenge collection - Solstice. And... last, but certainly not least, there will be drawings for some great door prizes. So sign up today, seating is limited.